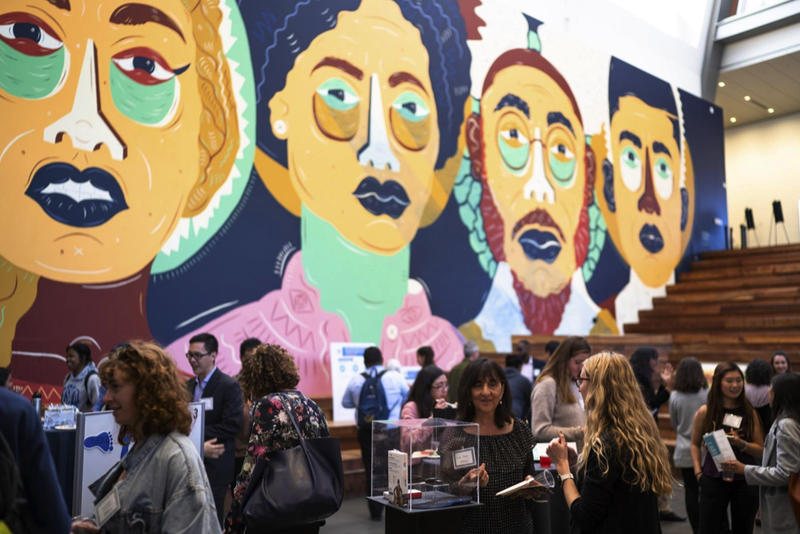 At a showcase in April at the Banatao Auditorium, undergraduate and graduate students presented their work developing novel tech ideas, addressing issues from gait impairment in the elderly and robots for disaster relief to connecting refugees to social services. These teams were part of the Tech for Social Good Program, a student-led technology development and research program led by the Center for Information Technology Research in the Interest of Society and the Banatao Institute (CITRIS). Drew Sabelhaus of the Laika project team, which is developing a four-legged robot with a flexible spine designed for disaster relief. The year-long program, open to undergraduate and graduate students in all disciplines, helps students engage in interdisciplinary technology development for social good by providing funding, mentoring, and other support to get technology in the hands of real people. Now in its second year at UC Berkeley, the program was piloted at UC Davis and is expected to expand to the two other CITRIS campuses at UC Merced and UC Santa Cruz within two years, according to CITRIS Research and Development Manager Brandie Nonnecke. Sarrah Nomanbhoy of MarHub, which is creating a migration management platform to change the way refugees access information and services throughout their journey. The program has three tracks: the technology development track offers up to $5,000 for interdisciplinary technology development; the events track provides up to $1,000 for events and programming addressing connections between tech and people; and the fellows track provides $2,000 in funding for graduate fellows, and $500 for undergraduate fellows to collaborate on technology research. 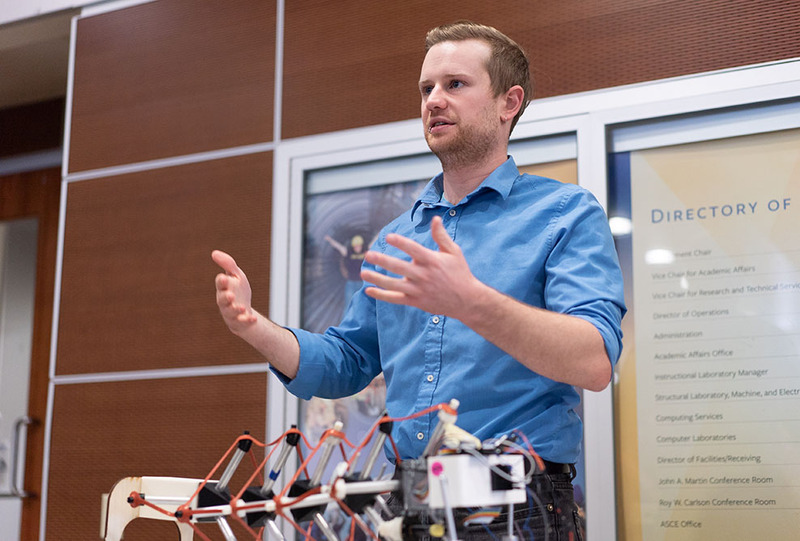 “Tech for Social Good allowed us to develop our technology in a way that other funding did not,” says Berkeley graduate student Drew Sabelhaus, who heads up the Laika project, which is building a prototype of a robot with a flexible spine designed for disaster relief. The GAIT monitoring system, which sends alerts if wearers need medical attention, is part of a collaboration with the Fung Institute for Engineering Leadership.